Hand Colored Engraving, 1873. 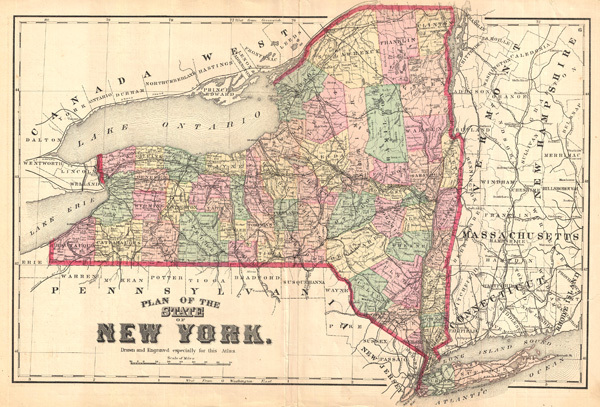 A very nicemap of New York with counties lightly colored showing major towns and cities. Various statistical and distance tables appear on verso. Published by F. W. Beers for his 1873 first edition Atlas of Long Island. Beers, F. W., Atlas of Long Island, New York. From Recent Actual Surveys and Records Under the Superintendence of F. W. Beers. (New York) 1873 First Edition. Good, centerfold as issued, edge wear.